Aloe vera is one of the oldest and the most used medicinal plant which has beneficial effects on almost every part of the human body. It is extremely nutritious and packed with vitamins, minerals, phytosterols, and amino acids. It is known to everyone that adequate intake of micro and macro nutrients promotes the overall health and it also reduces the risk of developing many health problems. It has many beneficial effects such as it reduces pain and inflammation and it has antibiotic and antiseptic properties which act as a first aid. It makes it highly valuable. This plant has an ability to eliminate many internal and external infections. It produces agents that play an important role in killing and controlling bacterias, fungi, and viruses. Aloe vera is a medicinal plant that has many nourishing agents to keep the hair healthy. It is one of the oldest medicinal plants and is used in hair loss treatment. There are many ingredients that are present in aloe vera protects the scalp from any damage or diseases. Aloe vera contains amino acids that strengthen the hair and add shine to it. Massaging the hair with the mixture of aloe vera and coconut milk on the daily basis can help you greatly in maintaining the health of the hair and helps in the hair re-growth. Aloe vera enzymes promote hair growth by retaining the moisture of the hair and it also cleans the dead skin cells of the scalp. Worldwide, aloe vera is used to keep the locks healthy and shiny. The effect of aloe vera on the skin is witnessed from thousands of years and the extracts of aloe vera is a proven skin healer. Aloe vera is highly popular among people due to its moisturizing properties as it has an ability to hydrate the skin and removes the dead skin cells and helps in keeping the skin healthy. It is not only a moisturizer but it also acts as an astringent that can clean all the three layers of the skin. It deep cleans the pores and removes any obstruction. 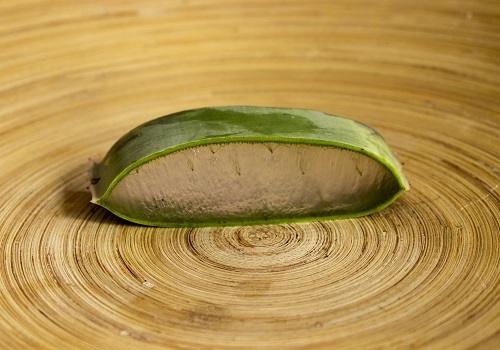 Also, Aloe vera is rich in Vitamin A and it is one of the vitamins that our skin needs. Vitamin A protects the skin from the ultra violet rays and delays the appearance of the signs of aging. Aloe vera penetrates the skin deeply and allows water and moisturizer to sink in the skin and replacing the fatty layers by restoring the lost fluid. Many studies have shown that aloe vera has a positive effect in reducing inflammation and inflammation is one of the key reason for the development of various diseases such as asthma, arthritis, and allergies. The anti-inflammatory effect of aloe vera inhibits the tissues that accompany inflammation and leads to the decrease in the symptoms such as redness, pain, and swelling that are associated with the damage to the part that causes inflammation. It helps in treating the condition quickly and rapidly. It is believed that aloe vera has many anti-inflammatory substances and some of them include natural steroid lupeol, campesterol, and bradykinin. The human digestive system consists of the gastrointestinal tract and other organs that are important for the process of digestion. Aloe vera has many health enhancing properties and is widely used to prevent the various conditions of the digestive tract. Medical trials have indicated that aloe vera controls the intestinal secretion, limits adverse bacterial actions in the colon, influences the bowel flora and improves the functioning of the pancreas. According to the research, bacterial actions in the colon is a cause of different diseases that vary from mild to severe. Also, Problems related to the bowels are also common and can be a cause of diseases such as colitis and Crohn's disease. Daily oral consumption of aloe vera can have an amazingly positive effect on the gastrointestinal tract. The immune system plays an important role in providing the defense to the body. It has been discovered that aloe vera contributes to the enhancement in the functioning of the immune system by normalizing any damaging process. Aloe vera contains the greatest concentration of acemannan and at the intestinal level, it acts as an anti-inflammatory agent that neutralizes the enzymes which are responsible for damaging the mucosal wall. Acemannan is known to have a direct effect on the cells of the immune system, therefore it boosts the functioning of the immune system by preventing any damage to the cells of the immune system. Suppression of the skin’s immune system is one of the key cause of the skin cancer and aloe vera prevents this suppression. It plays a great role in reducing the risk of many diseases that can be caused by the impairment of the immune system.